Your customers are surfing the web, will they find you? 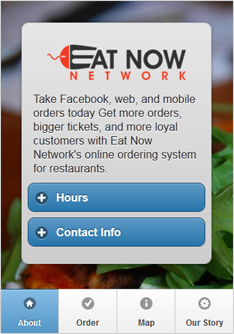 Eat Now Network helps establish your business by transforming visitors into valued customers. When restaurants don’t offer online ordering, their customers are ordering from competitors that do. Don’t make the same mistake! You can start taking online orders as early as today with our easy-to-use, flexible system! Enter in the list of items on your menu, let us know how you would like to send your orders, and instantly begin taking orders! –It’s that simple! Our web plug-in allows customers to order on your website within minutes and the user will remain on your website throughout the ordering experience. Want to know how your site will look like when online ordering is an option? Check out your site, with ordering! Enter your web address to see an example of our ordering plugin. You can combine notifications to make sure everyone is notified. Your customers can order within minutes right off of Facebook! Don’t just show the items on your menu, allow your customers to click and order immediately by taking orders right from your restaurant’s Facebook page. Why work hard to engage your customers if you are not allowing easy traffic to turn into paid orders? Facebook advertisements are highly effective and attention grabbing! Our simple point and click interface allows you to build your own mobile web application while adding custom content and links. Our interface also supports custom CSS for modifying to your liking! You can securely allow customers to pay via credit card with an option to save cards on file and prepay for an order with just a few clicks. Payments will automatically plug into your existing merchant account. There are other options to pay-in-person for larger orders. 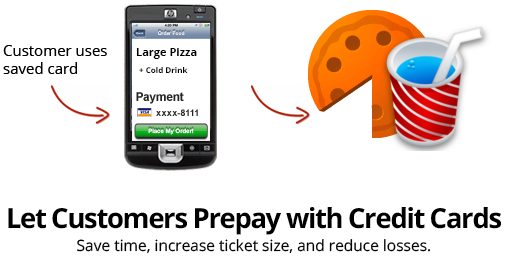 The customer’s payment information is directly sent to your payment gateway. Eat Now Network never has access to the funds during a transaction so that you are guaranteed with the quickest payment process possible. Want detailed information about your restaurant(s) orders and customers? Our reporting section will provided a detailed statement for you! You will instantly be able to view trends, popular items, and a list of all of your valued customer based on their order volume. Start connecting with your customers via email marketing to build reliability and keep them coming back for more. 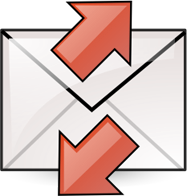 Use Constant Contact or MailChimp to keep all your customers updated with your latest events and newsletters! You can automatically send customizable surveys to your customers in order to get their feedback so that you can improve your service or keep doing what you are doing. 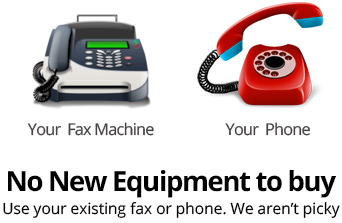 Our Internet sales are up 30% using your system and our customers are really responding positively. I love the control I have of the backend and look forward to working with your team in the future. This online ordering has changed my life! © 2019 Eat Now Networks. All Rights Reserved.